Aside from the risk of bone-smashing falls, it’s become clear in recent months that owning a hoverboard also increases the chances of your home burning down. Sure, you’d have to be real unlucky for that to happen, but the authorities’ recent advice to keep a fire extinguisher by your hoverboard at all times leaves few in any doubt that the issue of exploding hoverboards is a very real problem. 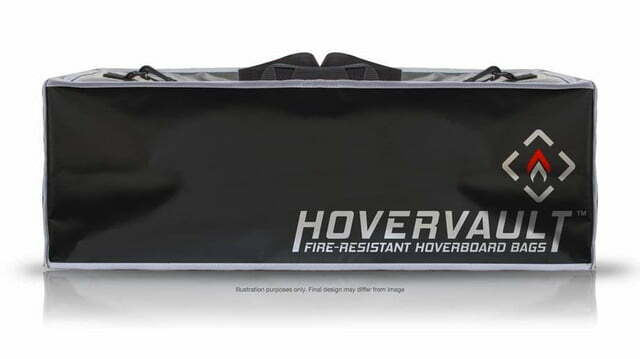 So, concerned hoverboard owners, how about a specially designed fire-resistant bag to go alongside your newly acquired extinguisher, a product that’s likely to increase the chances of a good outcome should your personal transporter decide to spontaneously combust. 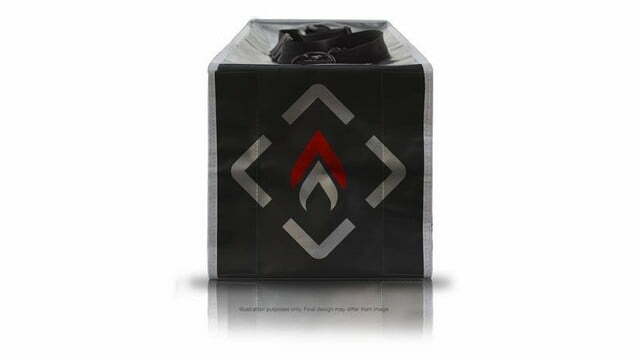 Created by Australian firm Homescreen Media, the Hovervault is made with fiberglass composite materials designed to contain the flames in the event of a major malfunction with your board. As you can imagine, the bag should offer peace of mind while you’re charging or storing your board, or transporting it between locations. Its materials are designed to prevent any unexpected blaze from taking hold and give you more time to react, though of course it’s not much use if the fire starts while you’re riding it. 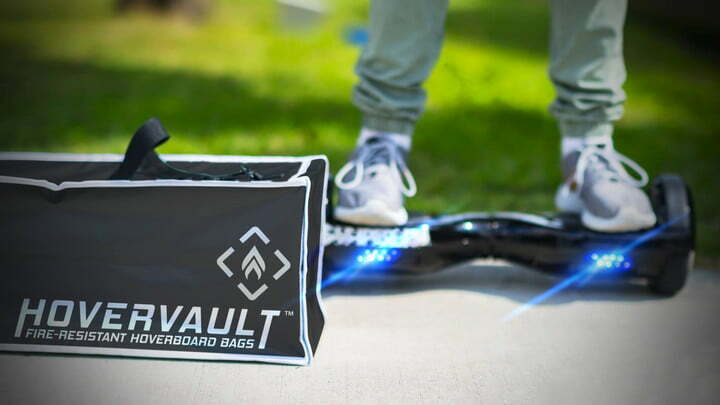 It’s also worth noting that the Hovervault will not allow owners to beat airlines’ recently imposed hoverboard bans. Most airlines won’t let you take the device on the plane, period. The U.S. Consumer Product Safety Commission said recently that in the U.S. alone, it’d so far received reports of 39 hoverboard fires in 19 states. Most of the incidents appear to be down to poorly designed lithium-ion batteries in low-quality boards made by inexperienced “tech” companies determined to cash in on the hoverboard craze. The Customs and Border Protection agency just last week announced it’d seized 16,000 counterfeit boards in a raid on a Chicago warehouse, claiming the devices posed a serious health risk. If the Hovervault is starting to sound like a good idea, it’ll cost you about $42 (includes international shipping) when it becomes available next month.